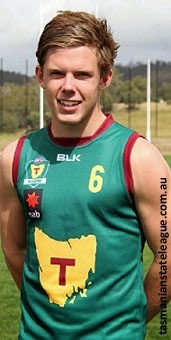 FORMER New Norfolk District Football Club premiership player Jordan Hayden (pictured) has been named captain of the state Under-18 football team for 2015. “Jordan is continuing to grow into a leadership role and is a player and person that the other players in the squad look to for leadership and direction,” coach Adam Sanders said. The talented former Eagle is also playing for Glenorchy in the Tasmanian State League.